Out of all health issues newborn babies face, hearing loss is a major thing. As per WHO, over 360 million people are suffering from hearing loss, and this number could be tripled and reach 1.2 billion by 2050. In India, not many hospitals are providing the Infant Hearing Screening which is affecting the children socially as well as emotionally. Parents wouldn’t know about their children hearing loss until they turn 2 years or more. It’s still not late, and parents would opt for a hearing aid, but they wouldn’t think of how the society treat their children. It’s true that hearing aid might help them hear the sounds but it does have an adverse effect from the emotional side. In fact, what hearing aid does is it just amplifies the sound but doesn’t restore the hearing. There are very rare cases when a kid is deaf and at the same time blind which makes it hard for the kid to understand speech. Fast forwarding to 2018, there are so many advancements in medical technology now, that’s helping in regaining the hearing senses for kids as well as adults. 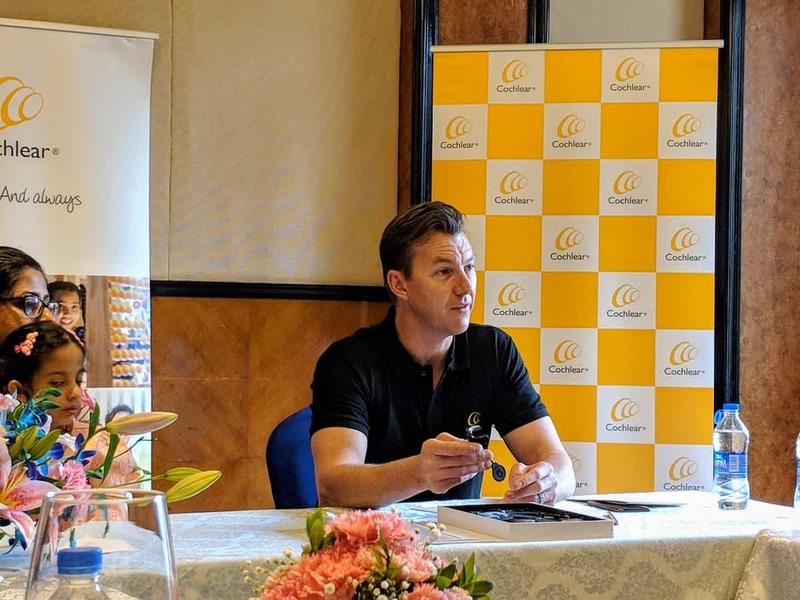 Recently, in a closed bloggers’ meetup in Bangalore, Bret Lee, the Global Hearing Ambassador shared his experience and insights. 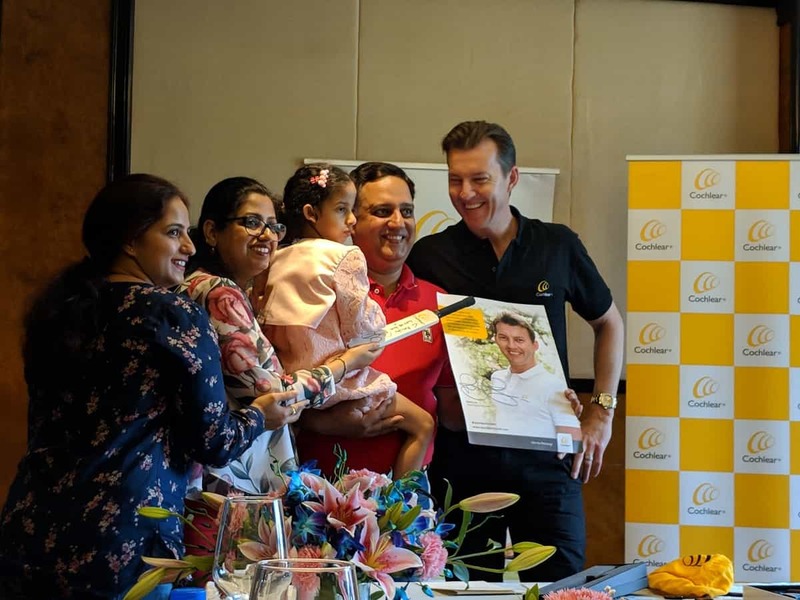 One of the biggest challenges we’re facing now is to make people aware of the technology, and so to bring awareness, the former Australian cricketer has started ‘Sounds Of Cricket’ campaign and had been traveling to different places in India. 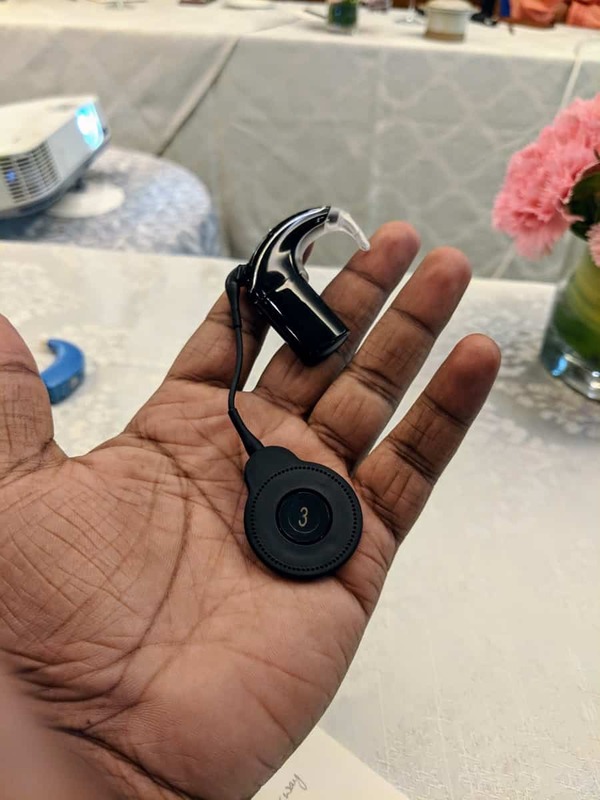 Speaking of medical technology, Cochlear Limited is one of the leading medical devices company that manufactures Nucleus, a hearing implant that’s been a boon to many. Since their inception, the Australian firm has been committed to producing the sound processors that are mobile, light-weight, and are efficient. At the meetup, the company showcased their new innovation – Nucleus 7 which is the world-first ‘made for iPhone’ hearing implants. Smart App: It’s the only hearing implant available in the market now that gets connected to an iPhone or an Android device via the ‘Nucleus Smart App.’ Using this smart app, users’ can adjust the settings and access other features of Nucleus 7. The application also gives you insights on your hearing information which can directly be shared [as a pdf] to your doctor. The other interesting feature in ‘Nucleus Smart App’ is ‘finding the connected sound processor’. Nucleus 7 gives you the ability to attend calls hands-free, stream music directly from your connected smartphone and more. It’s sweat and splash proof, and with the Aqua+ accessory, the Nucleus 7 can be used even when swimming underwater. The Nucleus 7 sound processor is 25% smaller, 24% lighter and has 50% more battery life compared to its previous generations. Using the Smart Sound IQ, Nucleus 7, the industry-leading sound processor can classify and adapts to scenes without any hassle. When compared to the normal hearing aid which just amplifies the sound you hear, the Cochlear implants actually sends the sound signals directly to your hearing nerve and to the brain, thereby making you hear the same way like a normal person. Being the industry-first, Cochlear Limited has been helping many people to regain the most essential senses – ‘HEARING’, and making people aware of the technology with their #HearYourWay campaign. Next articleHow Drone Technology is Changing the World?